Thomas Johnson and Charles Spurgeon lived worlds apart: Johnson, an American slave, born into captivity and longing for freedom and Spurgeon, an Englishman born into relative ease and comfort but, longing, too, for a freedom of his own. Their respective journeys led to an unlikely meeting and an even more unlikely friendship, forged by fate and mutual love for the mission of Christ. 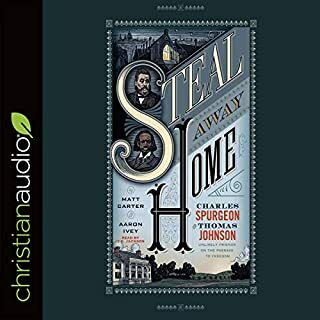 Steal Away Home tells a previously untold story set in the 1800s of the relationship between an African-American missionary and one of the greatest preachers to ever live. By: R. Albert Mohler Jr. The Apostles' Creed has shaped and guided Christian faith for almost 2,000 years. Few documents in the history of the church have similar influence on the life of ordinary believers. 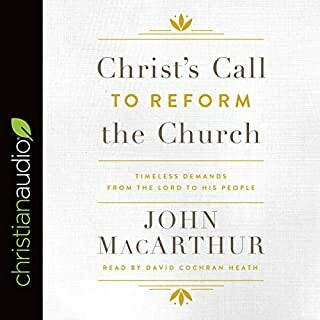 Renowned theologian and Pastor R. Albert Mohler Jr. works line-by-line and phrase-by-phrase through each section of the Creed, explaining in clear terms what it means and how it equips Christians to live faithfully in a post-Christian culture. Charles Haddon Spurgeon, often regarded as the greatest preacher of the 19th century, crafted The Treasury of David over the span of nearly half his ministry. Concise and provocative, Spurgeon's magnum opus on the Psalms has been prized by Christians ever since. Available for the first time in unabridged audio, this collection features Spurgeon's crucial commentary on Psalms 1 - 36. 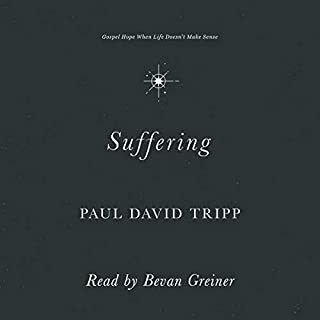 Perhaps no one else has ever faced as much hardship, opposition, or relentless suffering as the apostle Paul. And yet, through it all, Paul stood firm in Christ and remained faithful - to the very end. The power of Paul's example has captivated veteran Pastor John MacArthur for years, and here, he outlines nine unwavering convictions that contributed to this remarkable perseverance. 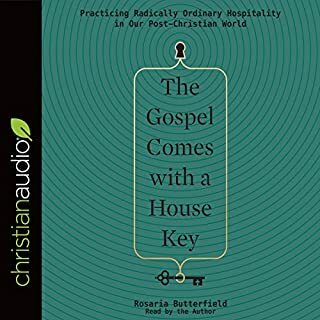 If you've wondered what about the difference between your role and God's role in your spiritual formation, this book will show you how to rest in Christ while pursuing a life of holiness. While many Christians recognize the name of Charles H. Spurgeon, the beloved preacher and writer, few are familiar with the life and legacy of his wife, Susie. Yet Susannah Spurgeon was an accomplished and devout woman of God who had a tremendous ministry in her own right, as well as in support of her husband. Even while dealing with serious health issues, she administered a book fund for poor pastors, edited and published her husband’s sermons and other writings, led a pastor’s aid ministry, wrote five books, made her home a hub of hospitality, and was instrumental in planting a church. And as her own writing attests, she was also a warm, charming, and fascinating woman. Now, for the first time, Susie brings this vibrant woman’s story to modern listeners. Ray Rhodes, Jr., examines Susannah’s life, showing that she was not only the wife of London’s most famous preacher, but also a woman who gave all she had in grateful service to the Lord. 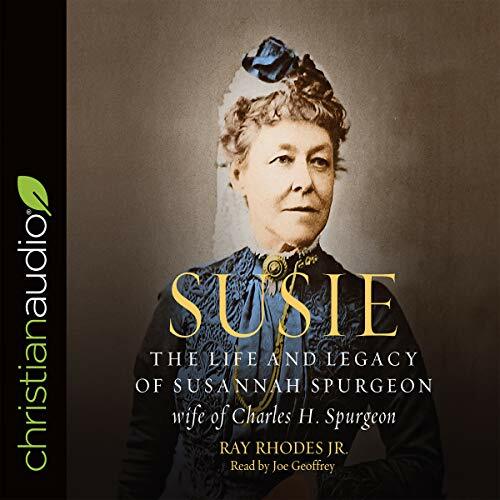 Susie is an inspiring and encouraging account of a truly remarkable woman of faith that will delight Spurgeon devotees and fans of Christian biographies alike. This book was so well written and the narrator did a fantastic job. I learned so much and was so deeply convicted in areas of my life that Susie’s simple Christ-following manner exposes in my own heart. My husband is in seminary to be a pastor and the treasures from her own life will greatly benefit me as I purpose to put them into practice in advance of my husband’s ministry. Susannah Spurgeon has been greatly endeared to my heart and I look forward to meeting her in person in heaven. 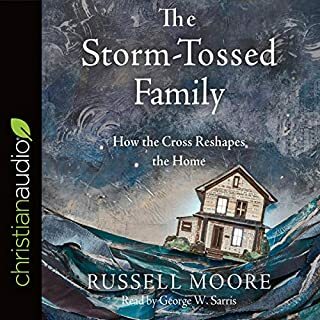 I wasn’t shopping for a book about Susie Spurgeon, but I really like this narrator and all the reviews were so positive. I am so glad I purchased it. I think this book is a must for any Christian’s library. Read it to the very last word, you will be blessed! 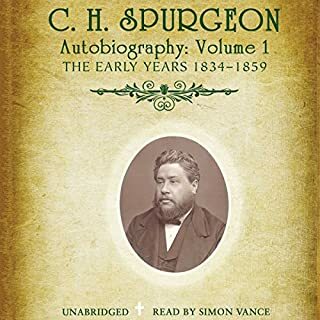 This is a beautiful biography in which I learned not only about Susie Spurgeon, but also a good deal more about Charles Spurgeon as well. What an incredible story of love and commitment to each other and to Christ, remaining steadfast through many hardships. The narration is a delight to the ears! My only criticism is that it’s just too long. The last 20% of the book just felt like a recap of things mostly already said, and was hard to stay engaged with. Overall, well worth your time!